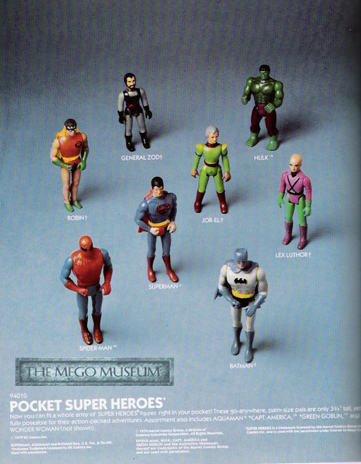 The Pocket Superheroes launched into their "White Card Phase" in 1980, notice that the new sculpts (Cap, Aquaman , WW) were still not available but at least they're mentioned.. 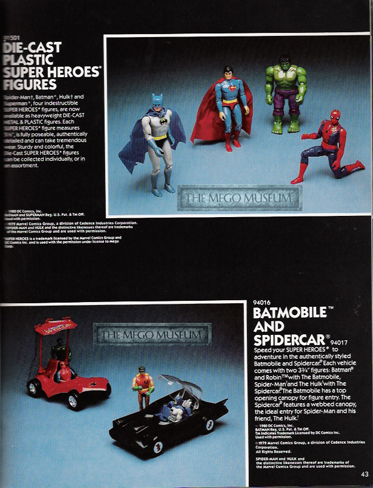 The Spidercar (notice they aren't showing Gobby) and Batmobile giftsets went through several packaging variants. 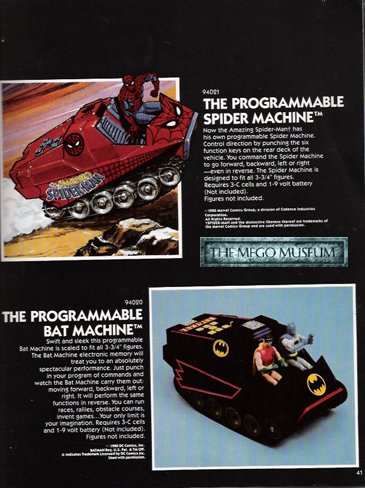 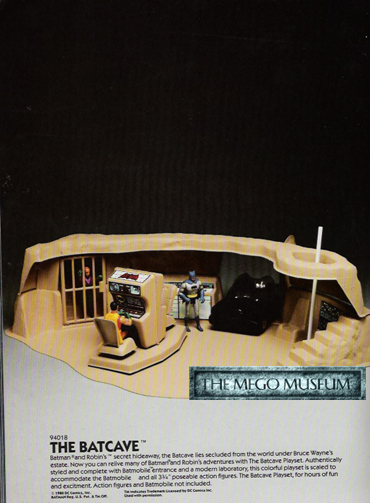 New this year were the Batcave playset and the electronic vehicles with the advent of Star Wars, the Pocket Superheroes continued to grow for Mego.